Early crop of large, sweet, juicy berries, season late July and August. Prickly but recommended, superb for freezing and all other purposes. Crops well under all conditions, giving an exceptional yield of quality fruit. 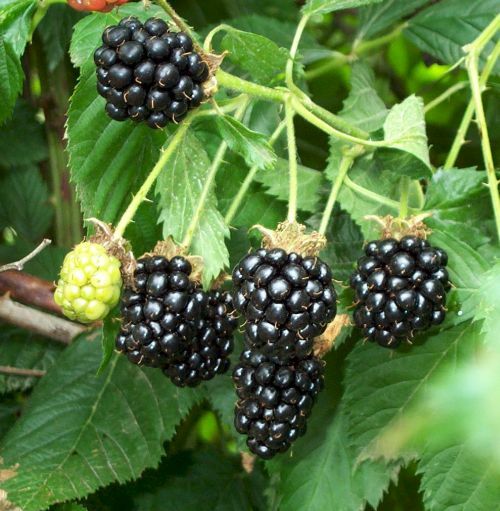 The round bright black fruits hang in large clusters, making picking easy.